Stephanie A. Smith is an author of numerous fictional novels available on Amazon. She teaches literature and women’s studies at the University of Florida, and has been committed to writing ever since she was a student of Ursula K. Le Guin. Stephanie A. Smith’s previous works include two young adult fantasy novels Snow Eyes and The Boy Who Was Thrown Away. Her adult science fiction novel Other Nature was nominated for the James Tiptree Jr. Award. 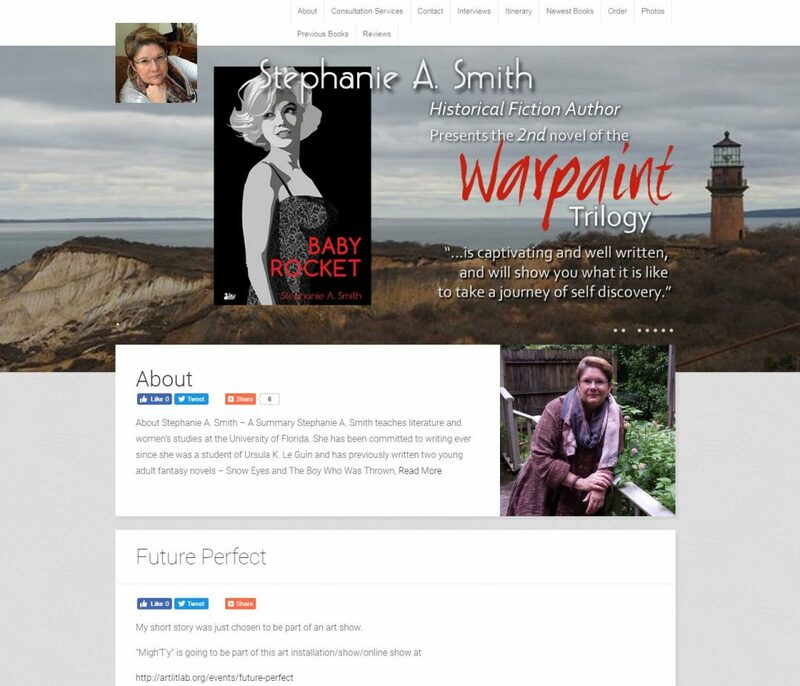 Stephanie A. Smith’s newest books include Warpaint and a sequel Baby Rocket. Her work, both critical and fictional, investigates politics, science, literature, race and gender. She asked us to provide her a complete web presence to include videos of her appearances, complete collection of reviews, photos and travel itinerary in an artful format.